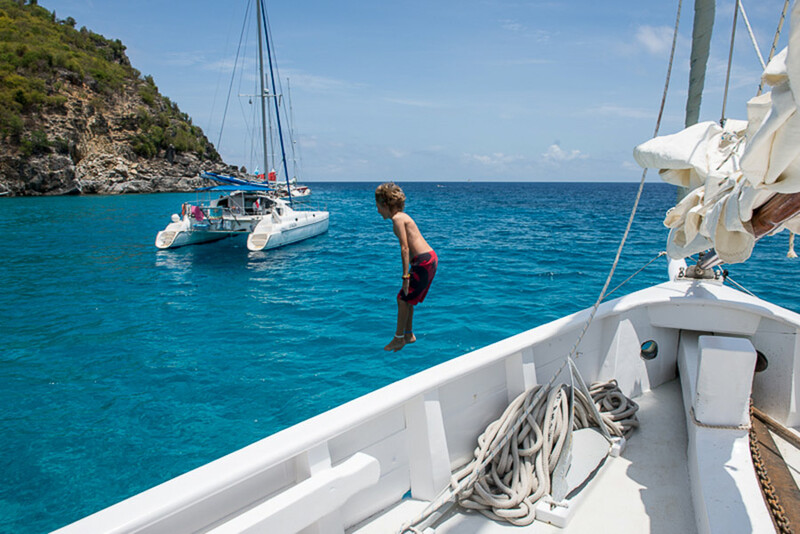 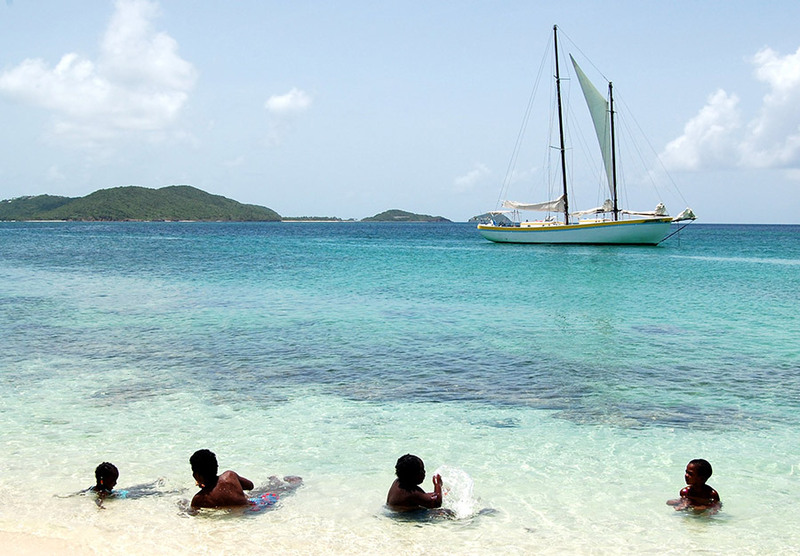 Jambalaya is a “real” Caribbean traditional yacht. 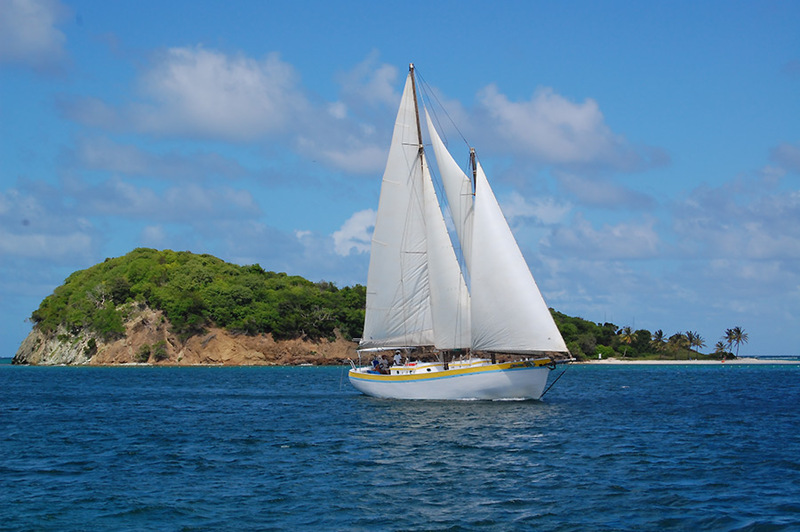 She was built in 2002 in Carriacou the island with the most famous boat building tradition in the Caribbean. 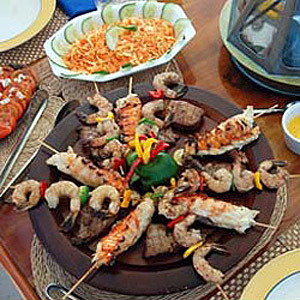 In fact, the building of Jambalaya revived and popularized that industry. 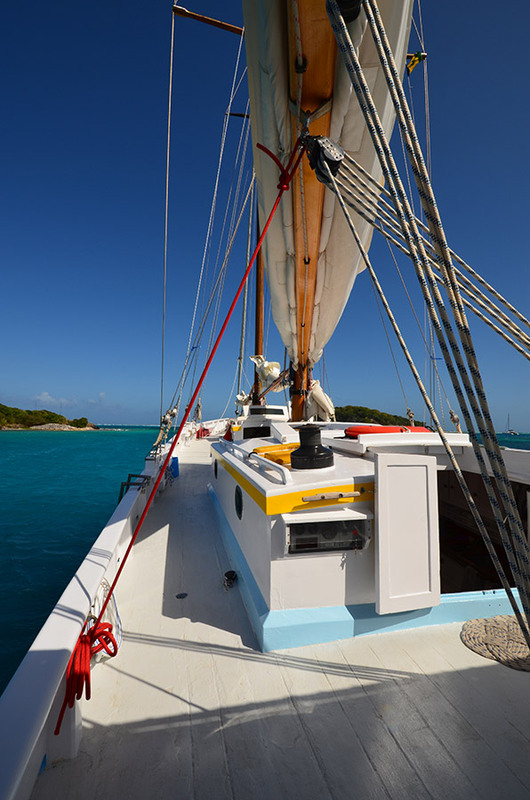 Jambalaya is the first Antillean schooner to be built on Carriacou in many years, once one of the great centers of wooden boat construction in the Caribbean. 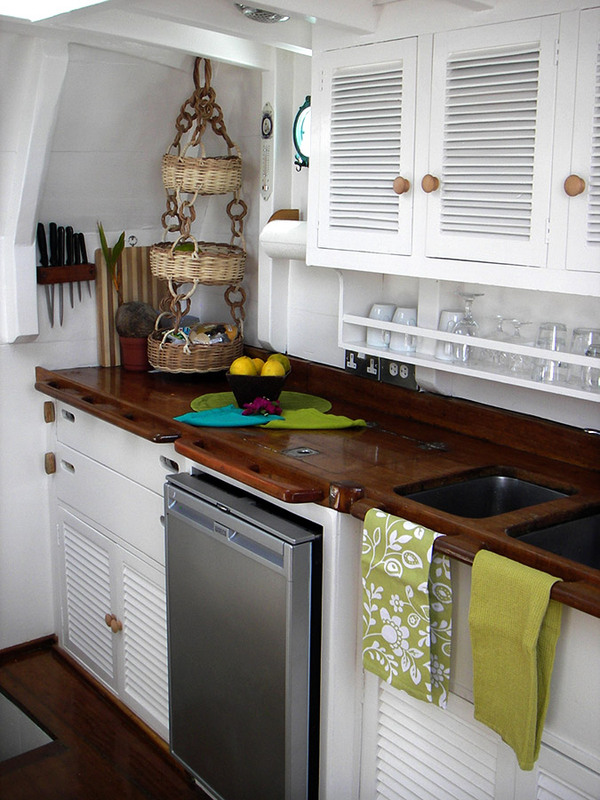 Crafted by the master shipwrights on the island, she is an authentic and actual expression of the wooden ship building culture that once dominated the Caribbean. 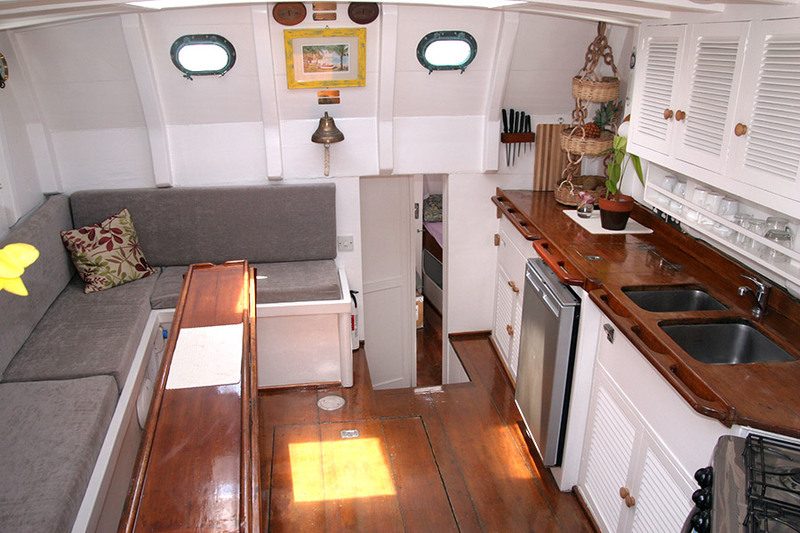 However, the then owner did intend to use her for crewed yacht charters rather than as a cargo ship, hence you will find an unique combination of tradition and modern luxurious amenities, especially after the extensive refit by her current owners in 2010. 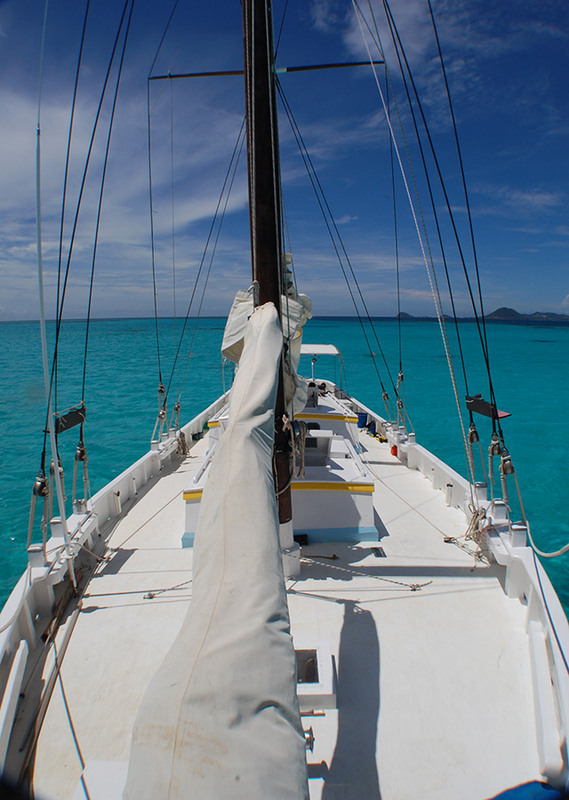 See slideshows for an impression of her looks. 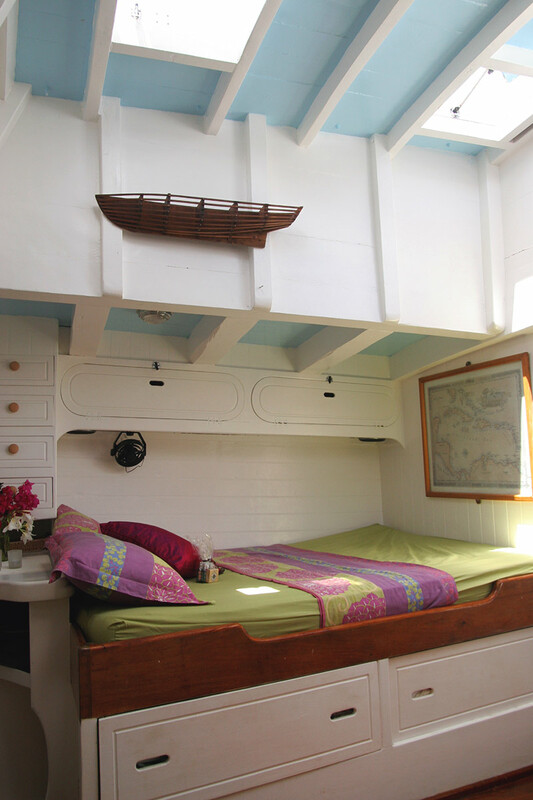 -The light and airy master suite has a queen-size bed with ample wardrobe and storage space and its own personal entrance giving you total privacy. 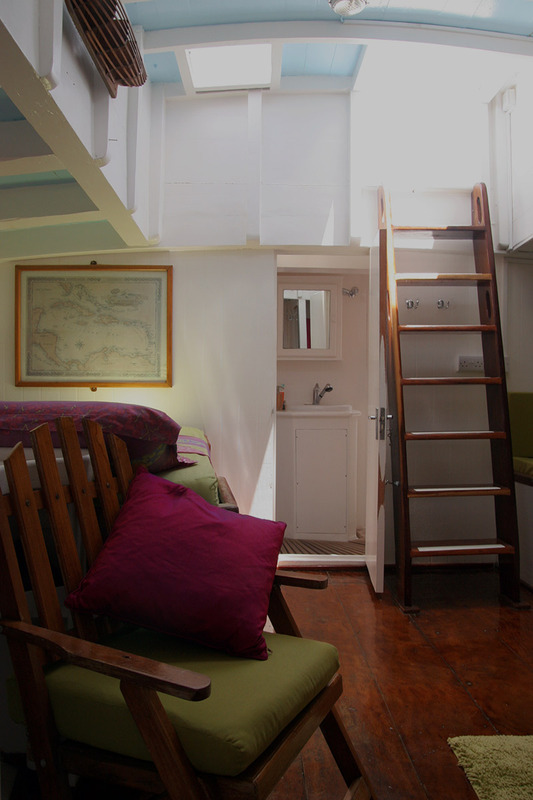 It also has an office desk offering generous bookshelves and storage. 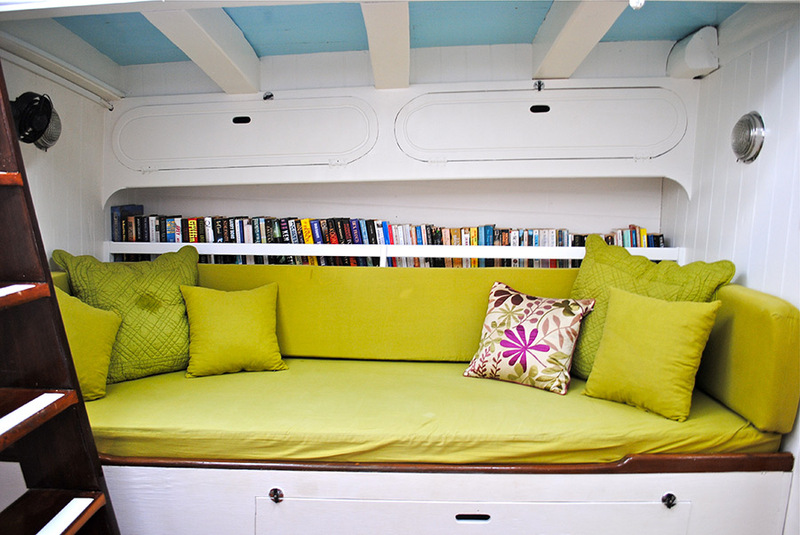 A large settee (which can be used as a single bed) surrounded by a large library provides a comfortable area for reading under the natural light. 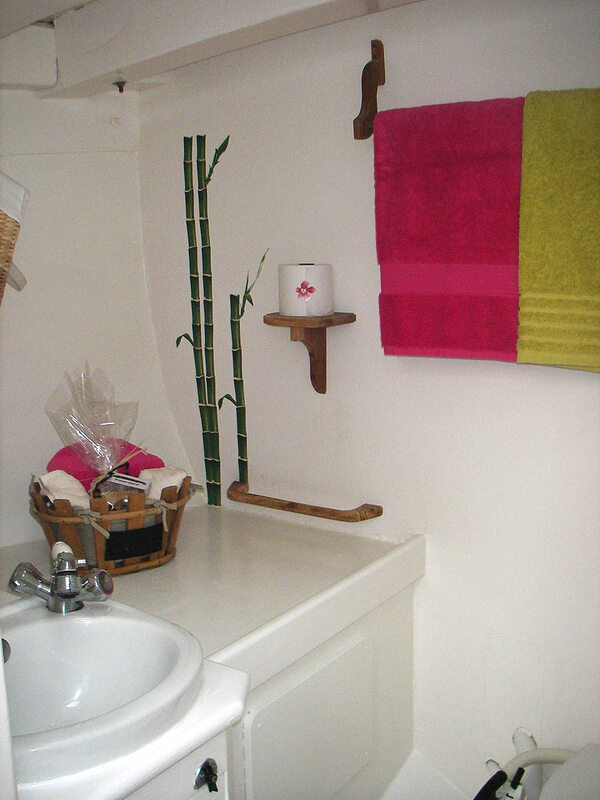 Private shower and toilet. 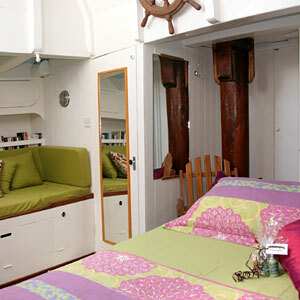 -Guest cabins two and three each have a double bed, share a bathroom. 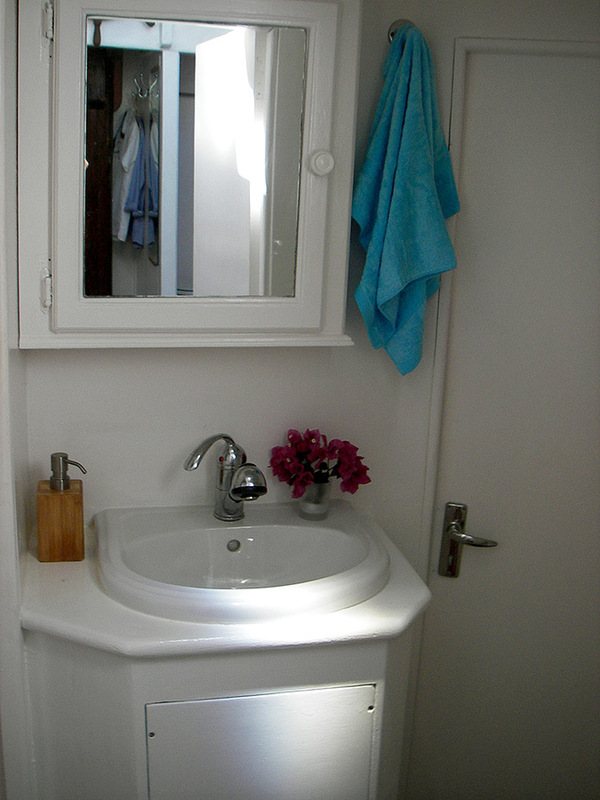 -The bathrooms have a shower, lots of counter space, fluffy towels, and a selection of L’Occitane toiletries. 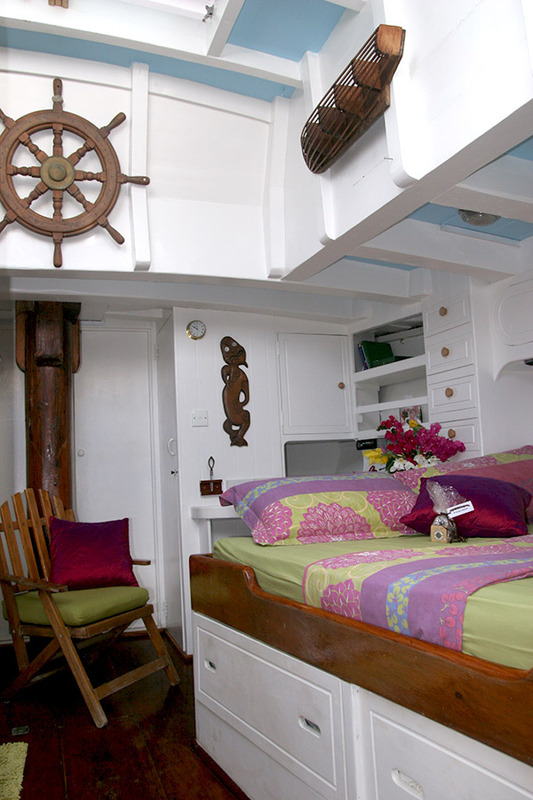 -Crew has separate quarters and entrance. 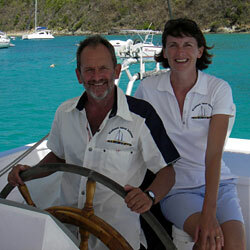 Peter and Sylvie look forward to welcoming you aboard their Schooner Jambalaya. 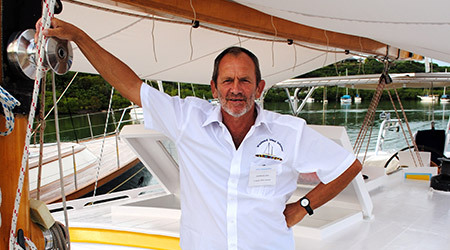 Peter, who is English has been sailing all his life including a 5 years circumnavigation of the world. 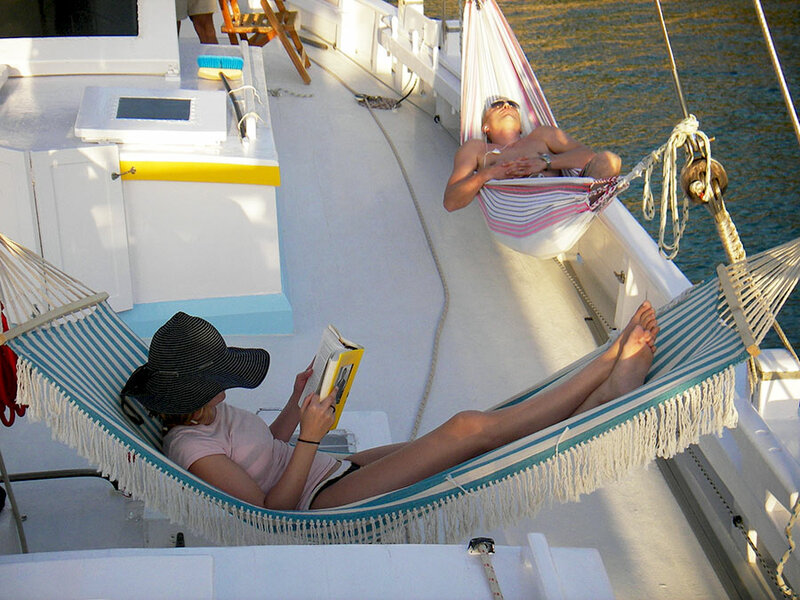 Sylvie, who was born in France speaks French, English and Spanish. 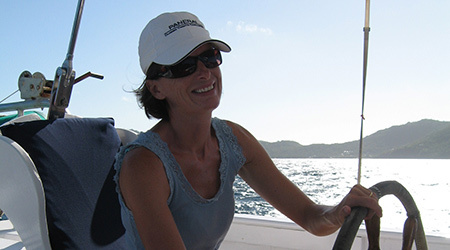 She worked previously in the marine industry with Garmin as their European Sales Director. 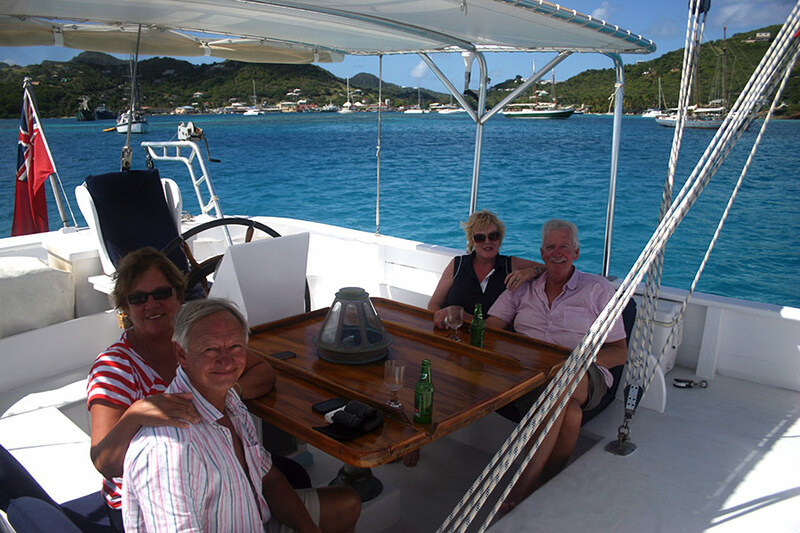 They both sailed in the Caribbean for many years and their knowledge of the sailing area is second to none. 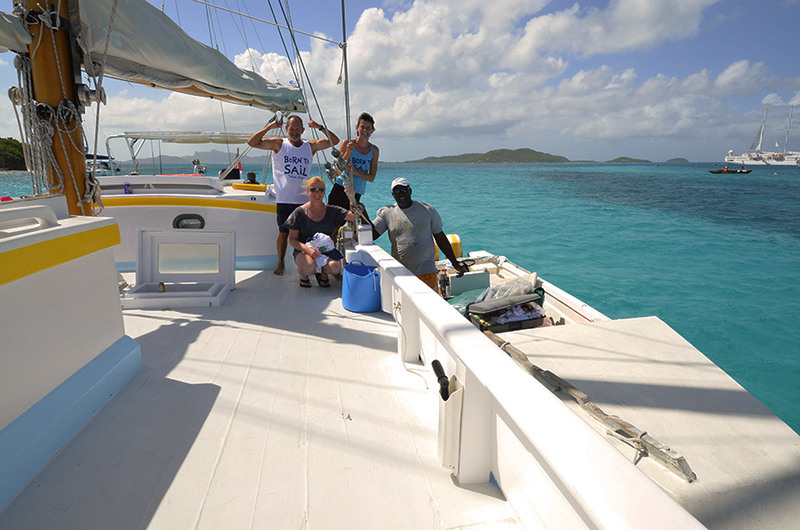 They have now returned to their favorite cruising grounds : the Windward Islands. 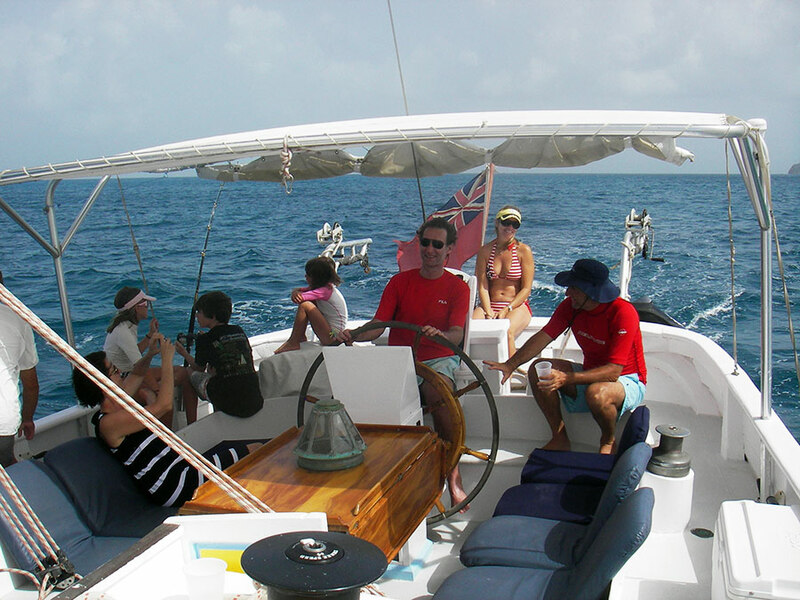 Enjoy the special experience of being under full sail on their traditional wooden schooner and journey back in time to sailing as it used to be!